Which holiday company will get my email address? The billion dollar question. The run up to a holiday can be more enjoyable than the holiday itself. France beckons next summer and I’m in research heaven – newspaper websites, travel bloggers, reviews of properties, letting companies…I want even more information but I won’t hand over my email address to just anyone. Once upon a time you could only come to a decision based on a TV commercial, magazine ad, radio commercial, outdoor poster, a mailing… And by default, the brands with the biggest budgets tended to have the biggest market share. Then the internet came along and changed everything. Over time people got wise (literally) to the wealth of information available on the internet and as consumers we were, and are, able to investigate and compare products, businesses and services to our heart’s content. It also gave the smaller brands a greater chance of success. 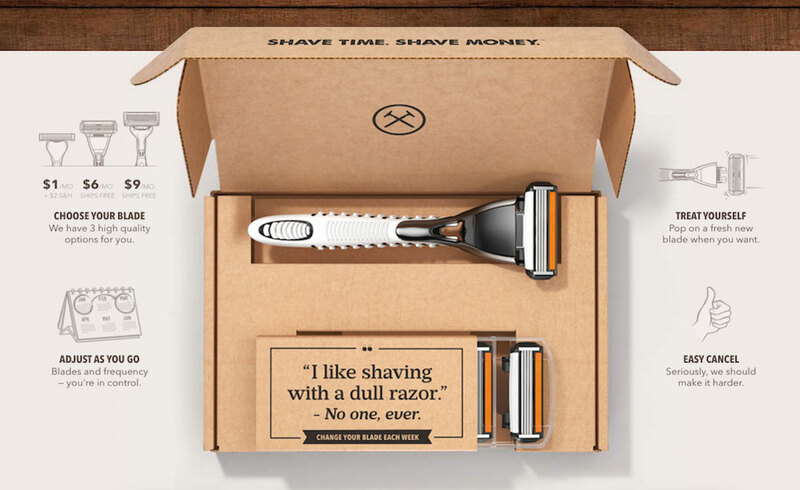 We were particularly struck in the office by the news that Unilever had bought the American online men’s razor merchant The Dollar Shave Club for $1 billion during 2016. Is Unilever a master at selling products the traditional advertising way but struggling with the direct-to-consumer brand building? It’s something at which, teeny-tiny Dollar Shave Club excels. It doesn’t sell shaving – it promotes personal care. And this strategy has got them over 3 million members. Kees Kruythoff, president of Unilever North America, has been quoted as saying, “Dollar Shave Club is a brand with incredibly deep connections to its diverse and highly engaged consumers.” And that’s worth its weight in gold, or one billion dollars. So as this example shows, whether you’re renting out a villa in France, selling razors, software, college courses, or cat food – to increase your market share you need to mix up your marketing. Traditional advertising AND consumer-led marketing. and above all, provide a positive experience. It starts with the user and ends with the user. Essentially, you have to earn the right to an email address and the long-term benefits this can bring. Bonne chance. The Communicators offer integrated communication solutions, bridging traditional and digital advertising. We close the loop with joined up thinking that cuts through the noise and drives customers online or through the door. Bristol based, we work with communicators across the region to provide a full creative, print, digital and content marketing service. If you’re responsible for your organisation’s marketing let’s communicate! 4 Brookside, Winford, Bristol BS40 8AB..
What’s not to ‘like’ about Social Media? Copyright © The Creative Dept. Limited.